The U.S. Open tees off on Thursday from the exceedingly challenging Oakmont Country Club, where even-par scores will be hard to come by for the world’s best golfers. Phil Mickelson has called Oakmont the hardest course he’s ever played. Sam Snead once joked that the greens are so fast his ball-marker slid off the green. The last time Oakmont hosted the U.S. Open, in 2007, Angel Cabrera won with a four-day score of 5-over. Speaking to the press following a practice round on Tuesday, world no. 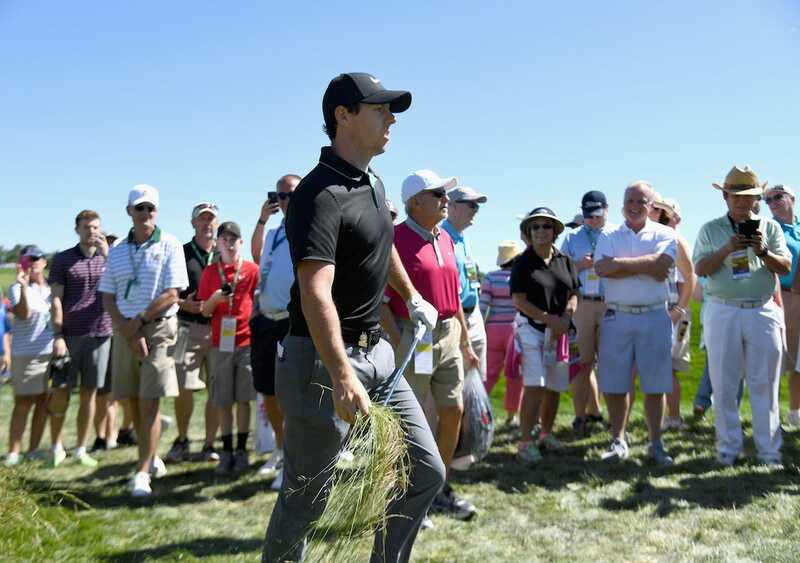 3 Rory McIlroy gave a revealing answer to the mental challenge Oakmont forces on its golfers. Unlike leading into other events, where golfers typically express their excitement to attack a course and try to post a low number, McIlroy spoke honestly and described his nervousness. Typically an aggressive golfer, McIlroy said that at Oakmont he’s preparing to take a more conservative, plotting approach. “You just have to be so disciplined. I’m an aggressive player as well. So there’s just going to be times where I’m going to have to rein it back a little bit,” McIlroy said. He also stressed that mental composure would make a difference, knowing the course is bound to frustrate. Ross Kinnaird/GettyFescue at Oakmont promises to terrorize golfers.